It’s Wedding Wednesday! We love this beautiful photo submitted by a client in Georgia from her daughter’s big day. 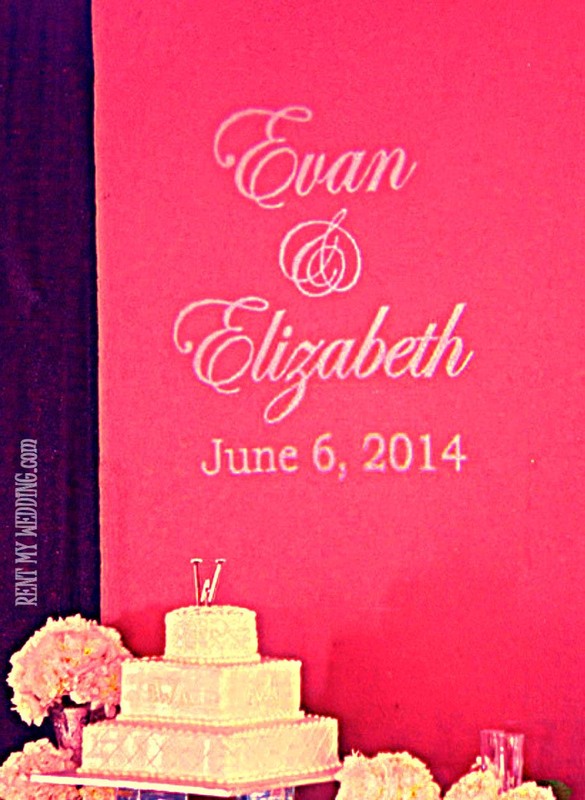 She used a custom gobo in white light and coral pink uplighting to create an amazing backdrop for the wedding cake. Light pink floral arrangements also added a perfect touch for the chic, three-tiered wedding cake. The monogram design features Edwardian Script font for the bride and groom’s names and Times New Roman font for the date. What a simple yet elegant touch to such a memorable day! Stay tuned every Wednesday for more inspiration!